Work smarter with your key stakeholders. Fed up with using multiple tools to collaborate with your staff, partners, and clients? From small teams to projects spanning multiple companies, Kahootz can break down the barriers to collaboration across organisations, by combining a wide range of tools in a secure online workspace. These include surveys, document management, forums, calendars and much more. Handle projects and teams of any size. Kahootz can handle as many users as you need it to – both internal and external. This gives you the power to easily include everyone you need in your online workspaces. Let’s make collaboration easy. Let’s make it secure. 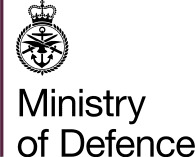 Trusted by organisations such as the UK Ministry of Defence, with Kahootz you can be confident that your data is protected by the most stringent security and operational standards. Work the way you want to, not the way you have to. Kahootz enables you to set up your workspaces for everything from project collaboration, to a company intranet. We give you the tools, you give them context. Whatever your business needs, our flexible product will adapt to fit them. Pay for what you actually need. We know how important value for money and predicting costs are to our customers. So we’ve made sure that our pricing is fair and transparent. With Kahootz, you pay for exactly the number of users you need. And as you grow, it’s easy to add more. "Our supply chain is extensive and Kahootz is helping us provide our engineering teams and suppliers with as much flexibility as possible when engaging with them.."